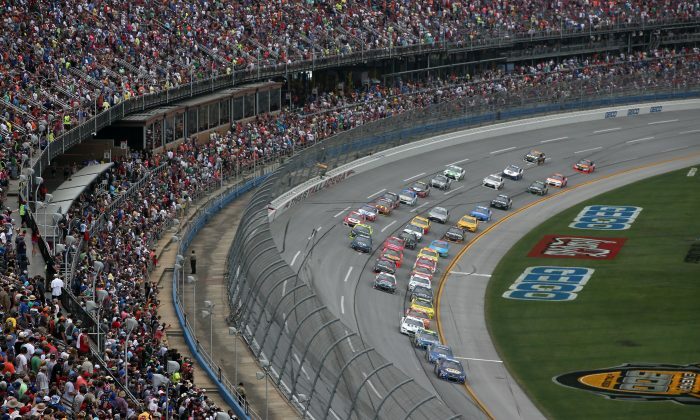 Two dead bodies were found in a camper in the campground of Talladega Superspeedway Sunday, just hours before a NASCAR race was held there, according to multiple news reports. The bodies were found at the race track in Lincoln, Ala., before the start of the Geico 500, local media reports. The local coroner identified the bodies as Joshua Doiun, 19, and James Cook, 48. Talladega County Coroner Shaddix Murphy said that the bodies were to be sent to a forensic lab to determine the cause of death, according to a report on wbrc.com. Foul play is not suspected in their deaths and investigators haven’t determined how they know one another, Murphy said. Both men are reported to be from Florida. Douin worked for the city of Tallahassee in the underground utilities department, according to a report on Tallahassee.com. City officials released this statement in response to Douin’s death. The Geico 500 still went on as planned, with Brad Keselowski picking up his second win of the season.